4-5 oz. 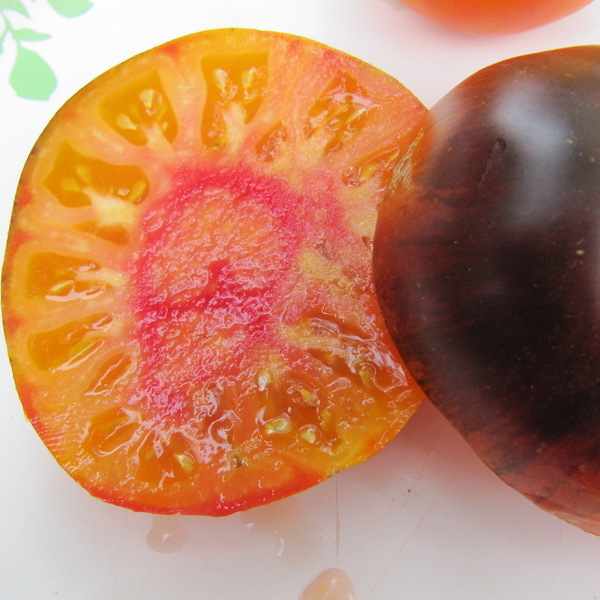 fruit, beefsteaks. 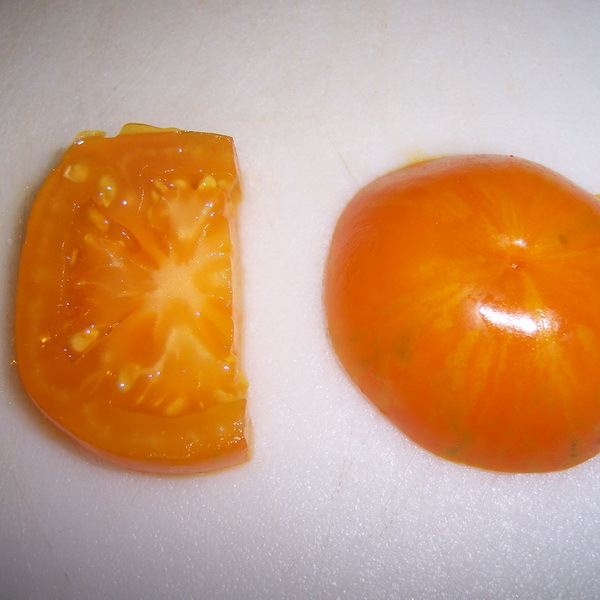 This is a red/yellow interior sister of Blue Beauty.First they ripen yellow, than more of an orange when very ripe. 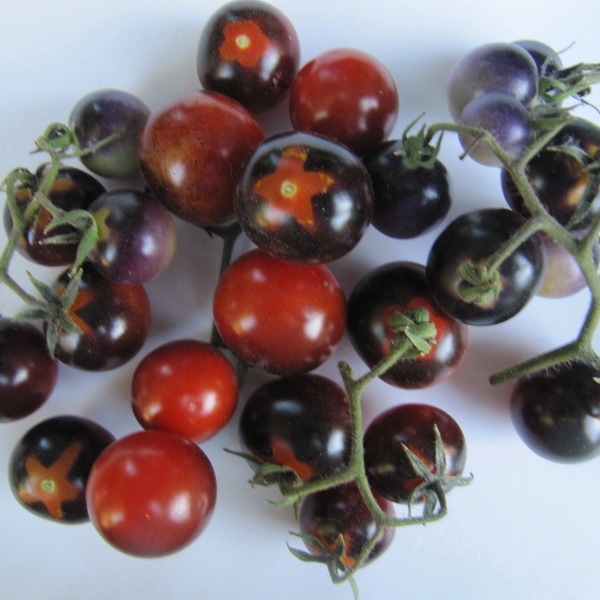 Very attractive with the black anthocyanin splashes really contrasting with the lighter colored skin.Good to very good production. Mid-mid/late. Flavor is very good, much like a good bi-color. 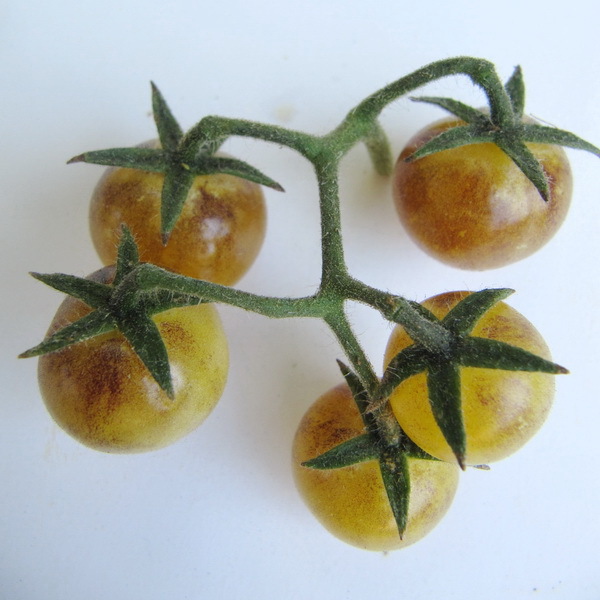 Sweet with fruity tones.Very meaty, very few Seeds – One of the best varieties I have seen for heat tolerance. 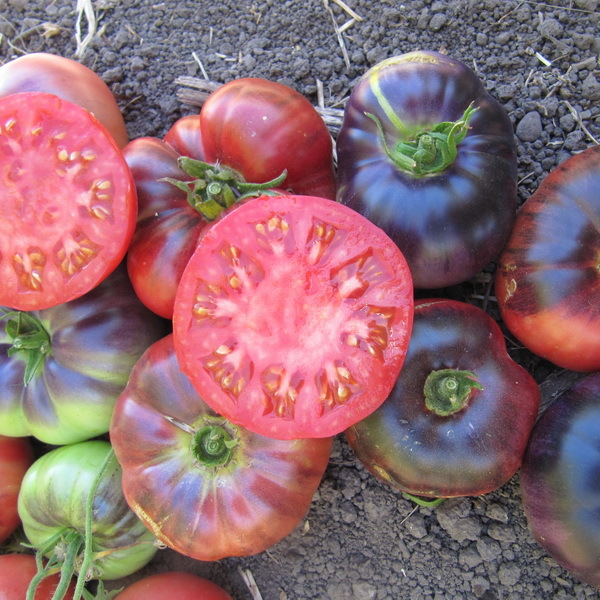 Very good ability to stay ripe on the vine and stay edible. (sometimes getting better) Excellent post harvest storage ability. 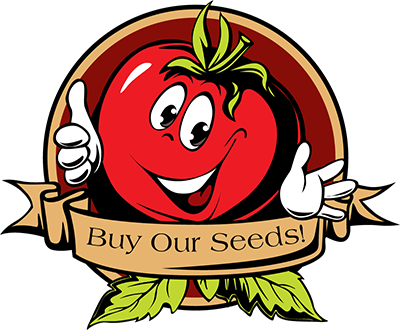 (Last night I ate some that were picked 27 days ago and where excellent. This is an amazing variety.